Publication is great. It showcases my work and gives me credibility as you shop around for your photographer. But its not why I photograph. I want to shoot your wedding or your family because I love combining you with the light and the love and creating images that reflect your connection and your spirit and bring you joy. So yes, I have been published in many magazines and featured on many wedding blogs but that is not why I continue to pick up my camera everyday. 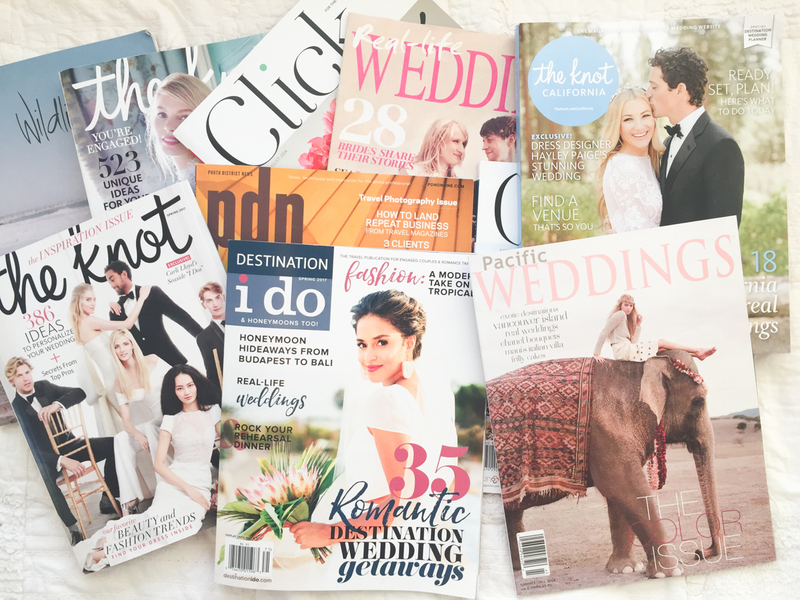 But just in case you want to know, my work has been published in national issues of The Knot, Pacific Wedding, Wilding, Click, Wedding and other international magazines as well. My wedding work has been recognized in our industry’s awards, Top Knots by PDN. And my work is regularly featured on many wedding blogs including Once Wed, Wedding Sparrow, Style Me Pretty, Snippet and Ink, Grey Likes and many more.